In my spare time from CEO of Angus Fala Worldwide, I’ve been going through old pictures. You know, recategorizing some, deleting many others. Right now, I’m going through 2009 – before I was born. Back then, Angus was at peak Scottietude. 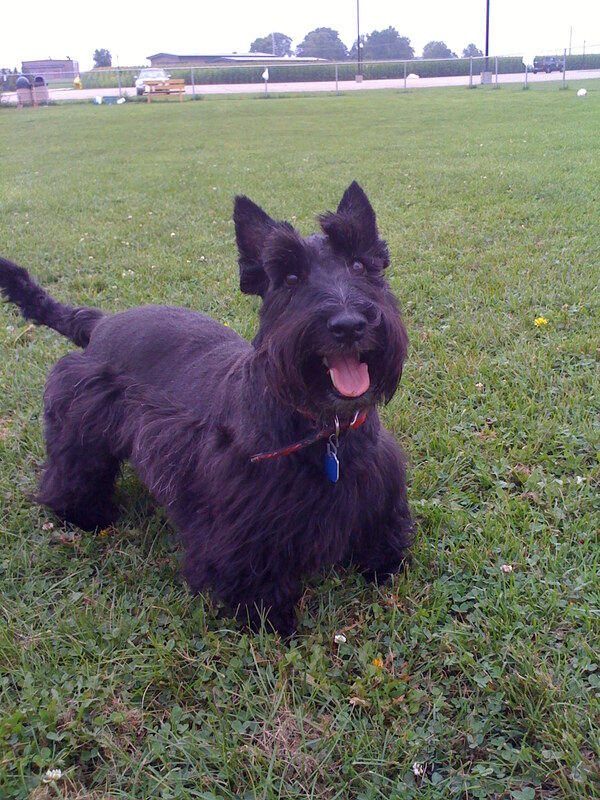 A good picture of him above at the dog park – back then he would go to the dog park about every day. And he would go anytime – even after it rained. It never stopped my brother – much to the consternation of Mama! And finally, remember the great Scottie-Husky War of 2009? 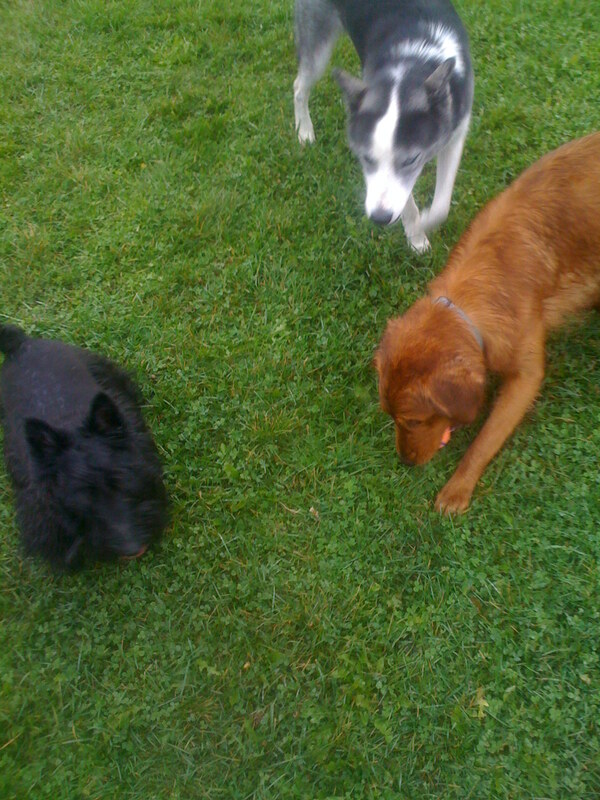 I gotta show you this pic – though Angus is a little blurry in it…this is the Husky that started the war with Angus. And gave Angus a grievous head wound! Of course, Angus also gave as good as he got in that war! What caused the war? The same thing that causes wars throughout history, according to my brother. Two tough boys, and one tennis ball. Recipe for a conflagration! Anyway, back to sorting pictures. Good luck, our Mom has tried this. Deleting pictures??? Just move them to a separate area. Once they’re gone, they’re gone for good. The peeps will never delete a picture of Kyla. That Husky has an evil vibe…it just emanates from the photo. Foul beastie! Mama was quoting Angus today to Auntie Bronwyn. Great photos! Kyla has a good idea– ya can get an external storage device for extra photos purdy cheap! I totally agree. Get extra storage device. Keep all the memories. I like the second dog park one. Water to the belly. Ha ha. And that is why I don’t like Huskies either! 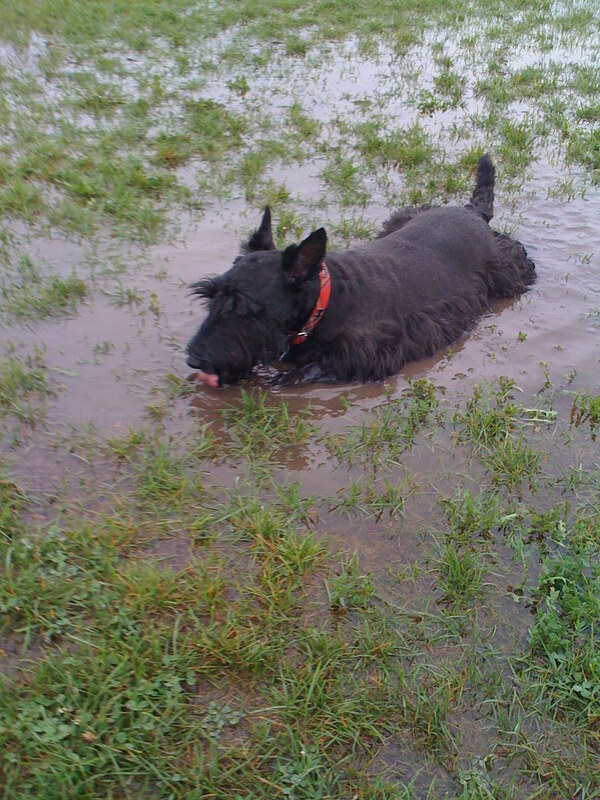 Angus in the water is priceless! Great pictures Ainsley. Keep up the good work !